Nuvagenic is a weight loss supplement, marketed all over the world, but only available to buy directly from the manufacturer via their website and Facebook page. Nuvagenic’s marketing hype is impressive, but it is also misleading; customer service is poor, and many buyers claim they have not received their shipments, so caution is advised before deciding to purchase this product. What Is Nuvagenic And How Does It Work? 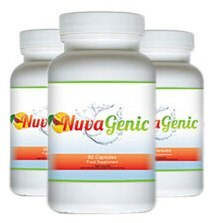 Nuvagenic comes in pill form and promises a weight loss of around 8lbs a month, when used in conjunction with a healthy diet and exercise regime. Many of the ingredients in the pill have been independently tested and are proven to support weight loss, so this claim would appear to have some merit, but the manufacturers do not provide information about the inclusion rates of the ingredients, and the product itself has not been tested, so any claims made are hard to substantiate. It is possible that the caffeine content could help provide increased energy, but none of the ingredients are known to produce the muscle tone required for the promised tighter body. African Mango Seeds: Believed to help regulate levels of leptin (the hormone that controls appetite and metabolism). Much of Nuvagenic’s marketing relies on the inclusion of this ingredient, and the results of some studies have been promising, but many experts agree that further study is needed before they could fully endorse the use of African Mango. 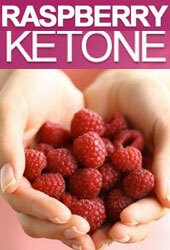 Green Tea Extract: A known antioxidant that is believed to increase the metabolism and encourage the burning of fat. There is a lack of evidence to support this, but green tea continues to be used in many supplements. 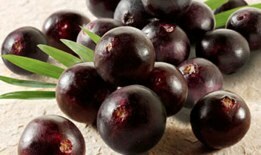 Acai Berry Fruit: Contains high levels of antioxidants and offers many proven health benefits. It is also believed to encourage an increased metabolism, but there is no satisfactory evidence to support this claim. Pomegranate: A good natural source of vitamin C—a vital part of any healthy diet—but, once again, there is no evidence to show that pomegranate promotes weight loss. Caffeine Anhydrous: A concentrated form of caffeine and a powerful stimulant that may offer increased alertness and energy, but caffeine is unlikely to have any direct effect on body fat. The product has attracted little or no interest from the media. Most of the marketing seems to involve online promotion techniques. The Nuvagenic website is filled with testimonials that are claimed to be by satisfied customers who wish to share their success stories with the world. So many glowing reviews from such a biased source are, however, not to be relied upon. Independent reviews are hard to find. There are no reported side effects attributed to Nuvagenic, but caution is still advised. Although the ingredients are natural, exact quantities are not listed. Large amounts of caffeine can cause heart palpitations, the jitters, headaches, and mood swings. 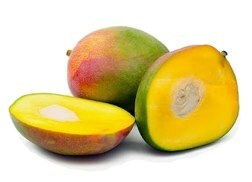 With so many experts agreeing that African Mango require further study, its inclusion brings with it an unknown factor that is a further cause for concern, so this diet is not recommended for use by pregnant or nursing mothers, or anyone who has an existing health problem or is undergoing any course of medication. Anyone who has any doubts about their health should, of course, seek medical advice before commencing any new diet of beginning a course of pills or supplements. Nuvagenic is quite an expensive diet and does not come with a money back guarantee. The fact that so many customers claim to have not received their orders is also quite worrying, so right from the start it is a case of “buyer beware!” and the fact that all orders have to be placed directly through the manufacturer allows them too great a level of control over the whole buying and selling process. It also successfully prevents customers from leaving any uncontrolled feedback on their buying experience. The Nuvagenic website also appears to have a permanent message at the top of the page, stating the product is in limited supply. This is an old marketing trick designed to instill a sense of urgency in potential customers and encourage them to “buy now” before it is too late—and usually without carefully considering their purchase. A genuinely successful product achieves increased sales by delivering on promised results and would not need to resort to such tactics. Although some of the ingredients look promising, Nuvagenic is not a recommended product. It is possible it may deliver on some of its promises, to some people, but with so many reports of undelivered shipments and such sketchy product information, there are much better dieting options available. Available to buy almost exclusively from its own official website. 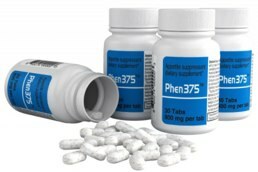 The diet pill that has been consistently the most popular in several countries (including the US, Australia and the UK) is Phen375. 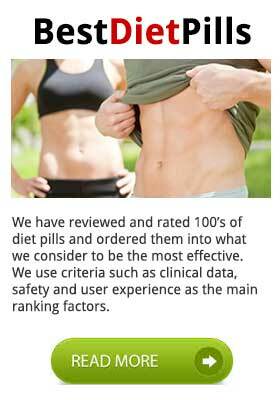 It is a commercial fat burner that has been developed in FDA registered facilities and available to buy without prescription. The testimonials on its website are very real – the company behind Phen375 encourage its users to send in videos.